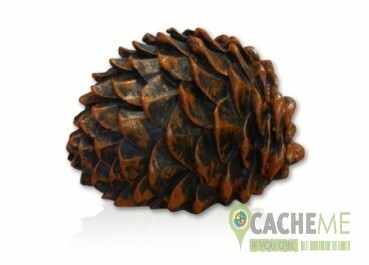 Introducing the Pine Cone cache container!! -This deceptive little cache container looks like just another pine cone out on the trail but turn it over and you will discover a small panel at the back. 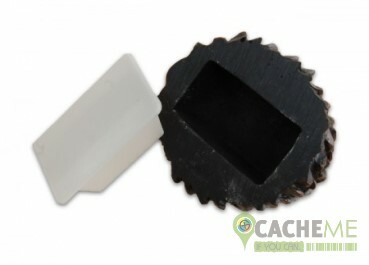 Depending on your creativity and choice of location, these caches can be difficulty rated 1-5 in the wild. This container measures 3" x 3.5"